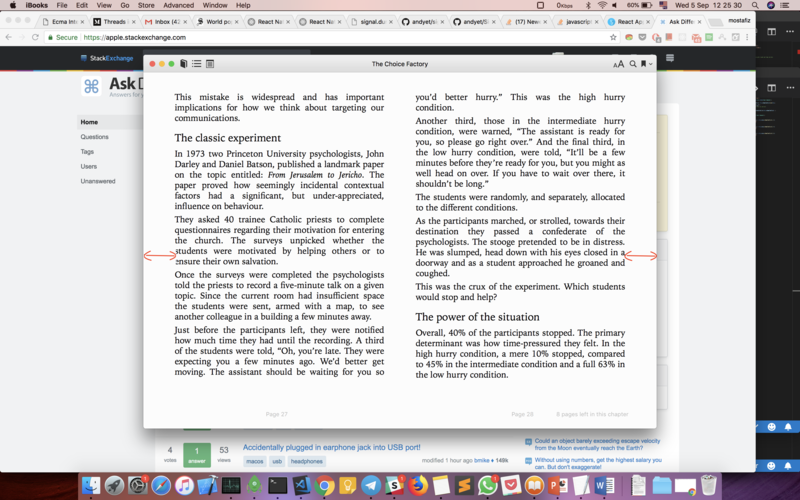 The margin width is not user customizable in iBooks for macOS. My question is can I shorten or widen the left/right margins? The margin width is dynamically adjusted (while keeping both left and right margin equal) based on the window and the font size. You can play around with it to suit your preference. Not the answer you're looking for? Browse other questions tagged macos books . What is this flag widget in the Pages ruler?